Charity Carol Concert in Aid of Prostate Cancer UK..
Tuesday 20th December 2016 at 7:30pm. Tickets £6 from Beverley Music & Dance, Norwood. 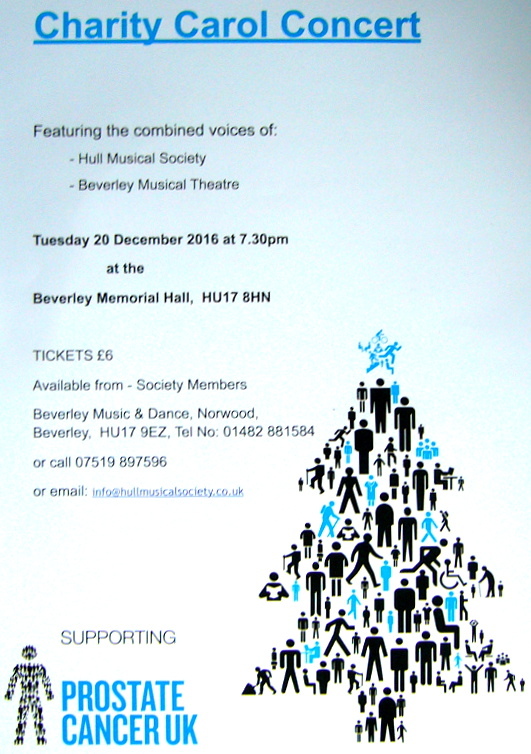 Featuring combined voices of Hull Musical Society & Beverley Musical Theatre. 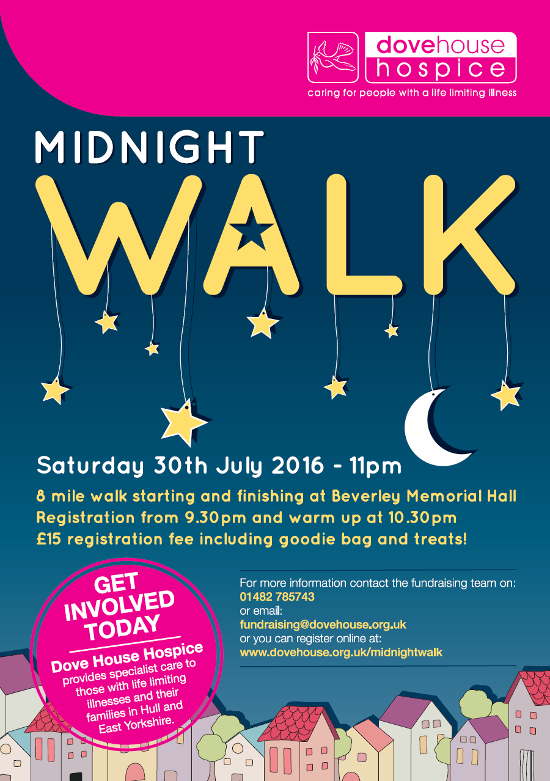 Please support this caring charity by joining our Midnight Walk, from the Memorial Hall on Saturday 30th July 2016. For further details phone 01482 785743 or via Email Here! 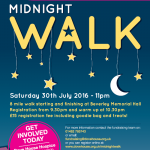 or register online Here!